> Also, it's Python >= 3.3 only at this point. See http://www.python.org/dev/peps/pep-0404/ and https://github.com/thp/python2sucks to figure out why this is a very good idea and why you want to have that. 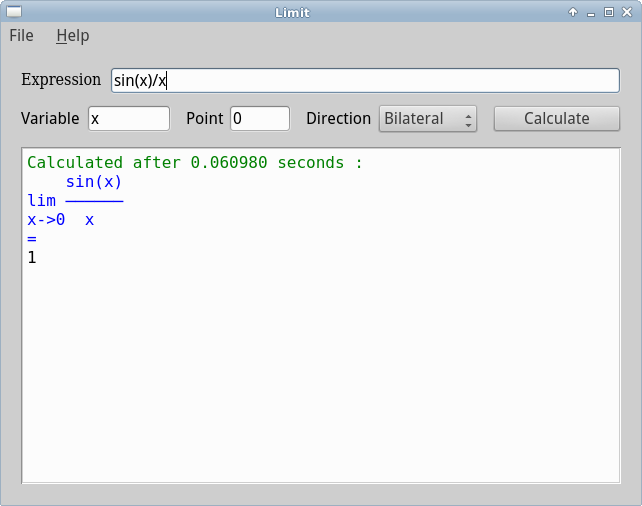 PyOtherSide, built it and used it in a simple "Limit.py"/"Limit.qml"
Qt Quick Controls & Python 2.7 & SymPy, see the screenshot below. Limit/Calculus will be available on Sailfish. has many useful discussions about PyOtherSide, PyQt5, etc.